Quiller Press, 1985, Hardback in Dust Wrapper. Illustrated with black and white photographs. From the cover: “The story of Harry Chandler is a true ‘rags to riches’ tale. From the poverty of London’s East End in the 1920s and 1930s life has brought him success and the trappings of affluence — a penthouse in Park Lane, expensive cars and yachts, villas abroad. 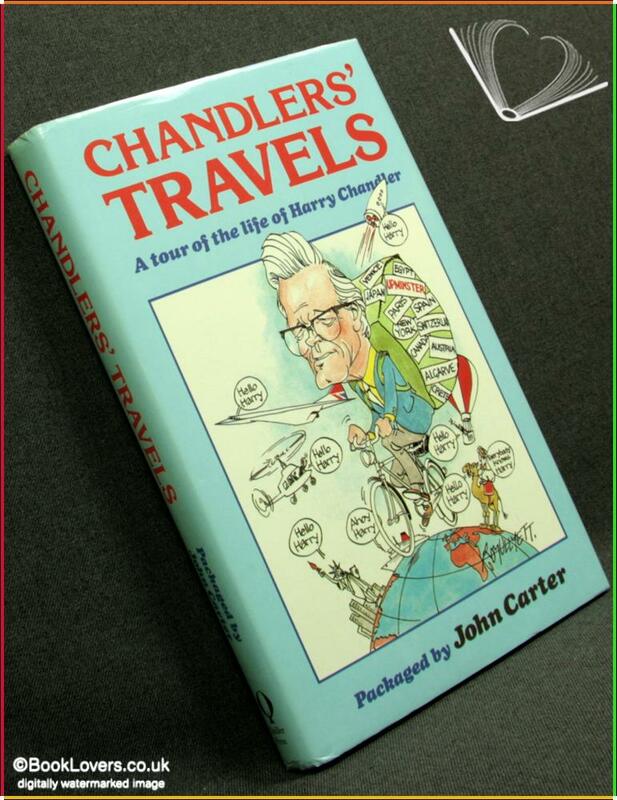 However there is more to the Harry Chandler story than the making of money. There is the building up of a business which now has a turnover of £10 millions a year plus, not from central London or a chain of offices all over the country, but from a single office at Upminster, in Essex — a trade in package holidays abroad that began when a young Harry Chandler and his best friend embarked on a cycle tour of Germany in 1934. His 50 years in the travel trade cover the growth of the massive package holiday industry. Harry Chandler has been a part of that industry, closely involved in its affairs. A founder member of the Association of British Travel Agents, President of the powerful Tour Operators’ Study Group and the International Federation of Tour Operators. He has been cast in the role of spokesman for the industry at times of crisis — the collapse of Clarksons in 1974 and the failure of Laker in 1982 — and has led the way in introducing schemes to protect the holidaymaking consumer. He has also fought to improve the standard of his chosen trade and has been decorated for his services to tourism by the Governments of Portugal, Spain, Austria and Italy. But Harry Chandler’s life has not been entirely bound up with the business of holidays. He had what might be called ‘a very interesting war’, being trapped in Switzerland when war was declared, serving for a while as a Policeman and then barging his way into Military Intelligence to serve in the Middle and Far East as well as in Germany at the war’s end. Foreword or introduction by José Ferraz. Size: 9" x 5¾". Blue boards with Gilt titling to the Spine. 168 pages.